Cabochons were the first known shape and cut for a gemstone to man. 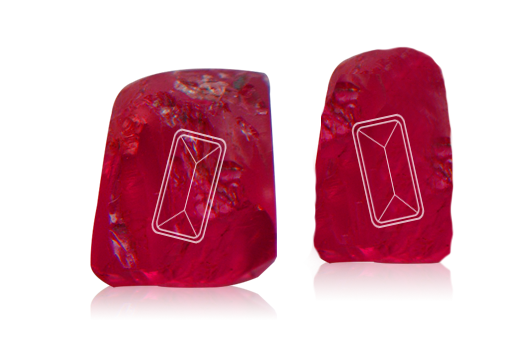 What makes a cabochon attractive than a faceted gem is its rich colour. 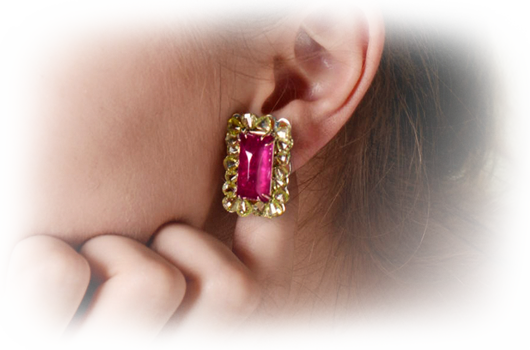 Rubies are one of the most preferred gems for a cabochon considering its hardness and durability. 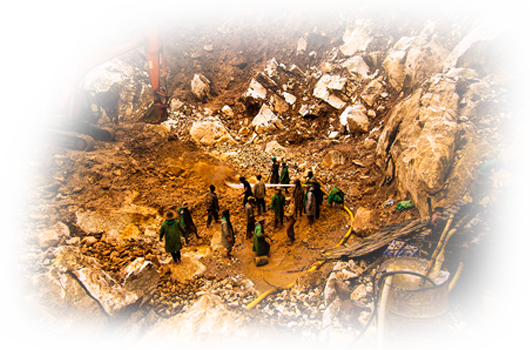 A stone’s fate is decided at the hands of skilled eye, a mistake in this decision can turn a precious gem to just a stone. What steers a craftsman’s decision to make a cabochon is because that particular gem would display its special properties only when it is cut as a cabochon. Coming from the mines of Burma, these rubies are the most excellent as a cabochon for their intense colour, rarity and durability. With a transparency and clarity that enhances its natural red colour, this Burmese unheated Ruby pair is our personal favourite. Set in a beautiful, elegant yet simple design of an earring, this pair was design at the epicentre of excitement and glamour. Surrounded with flat faceted diamonds, the light from the diamonds enhances the red of the ruby.It is flawlesswith its pure transparency, brilliant colour and sheer lustre making it the sweetest pair.